Triple Strength Green Lipped Mussel - YUMOVE provides a concentrated source of unique Omega 3 - proven to soothe stiff joints and improve joint comfort. Green Lipped Mussel contains a unique omega 3 called ETA to soothe stiff joints. The high content of these key active oils is one of the reasons why YUMOVE works so quickly. 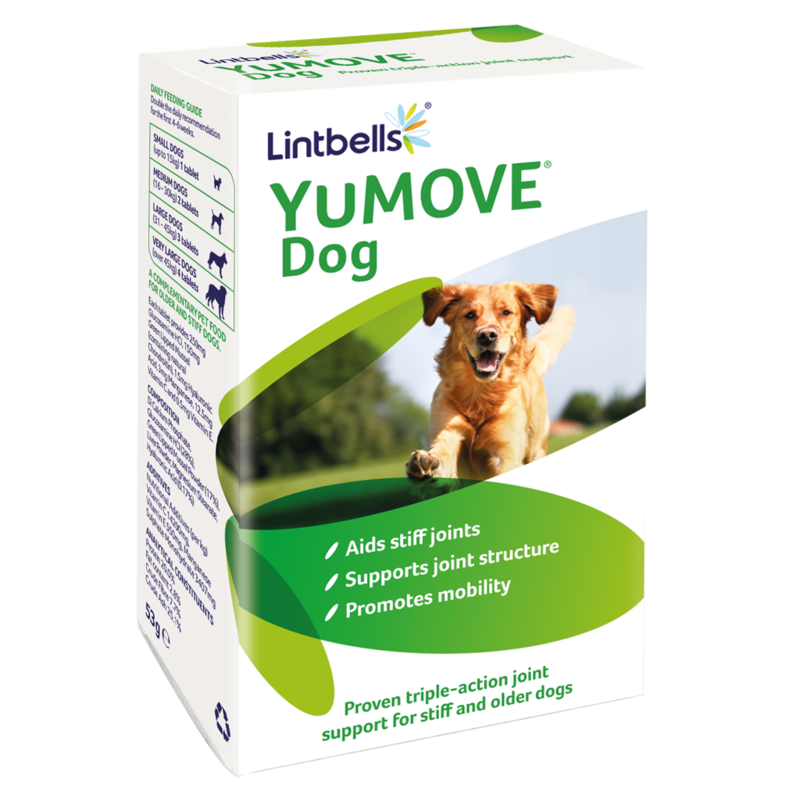 Glucosamine HCl to provide more concentrated joint support. Hyaluronic acid - a major part of synovial fluid the cushioning fluid in the joint which helps lubricate and cushion the joint during movement. Triple Strength Green Lipped Mussel - a rich source of minerals amino acids and glycosaminoglycans to support joint tendon and ligament health aiding flexibility and mobility.